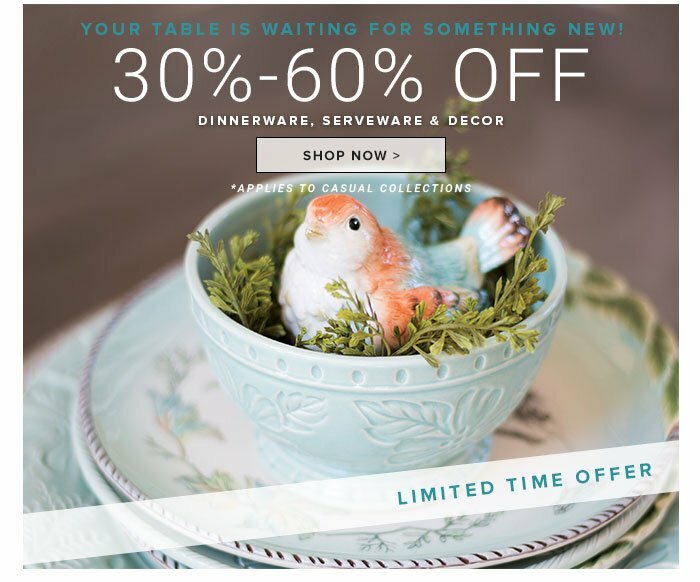 *30%-60% Off Casual Dinnerware, Serveware & Décor Collections at www.fitzandfloyd.com. Prices reflect total savings. Applies to collections listed in the Dining Event Collection. 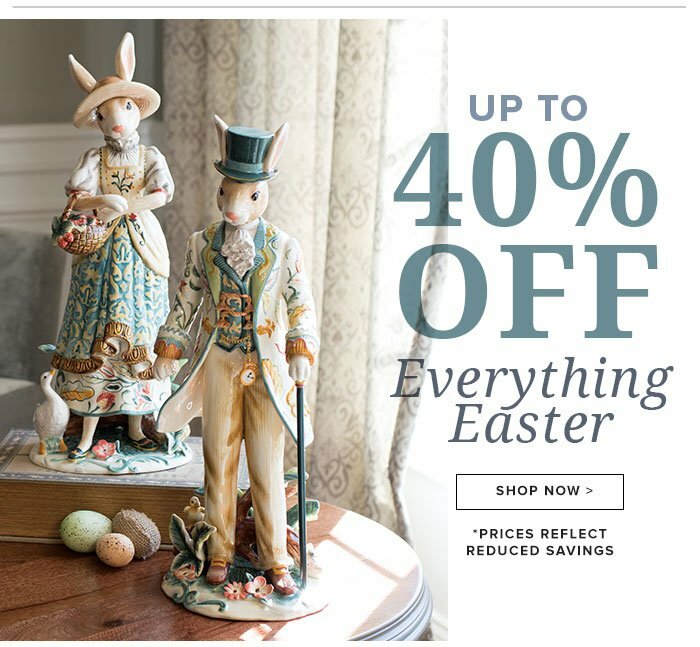 Offer Ends 3/11/19. 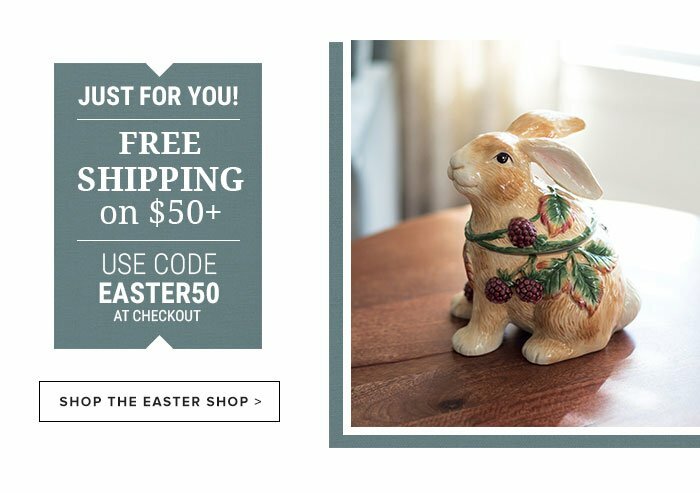 *Free Standard Shipping on Any Order of $50; Must Enter Code EASTER50 in your shopping cart. Free Standard Shipping offer is valid within the 48 Continental U.S. and applies to Standard UPS Ground Delivery on qualifying orders. Free Shipping offers exclude: Alaska, Hawaii, Puerto Rico and all International Countries. Not valid for cash. Previous purchases not eligible for adjustments. Not valid with other offers or promotional codes. This offer is valid on Fitz and Floyd product only at www.fitzandfloyd.com orders.